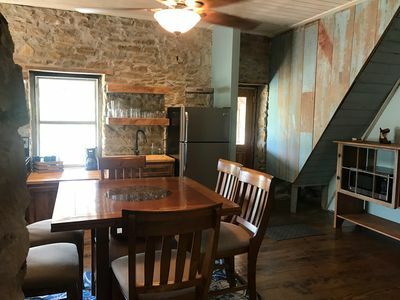 Fully-restored 1920's house with original beaded pine walls and wood floors. 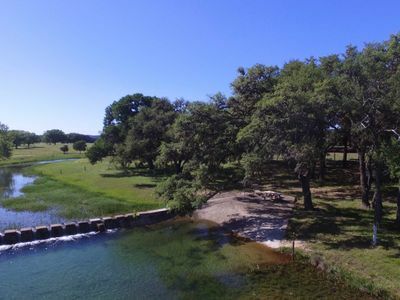 Private, secluded cottage on 250 acre Valle Escondido (Hidden Valley) Ranch with outstanding views of the Hill Country. 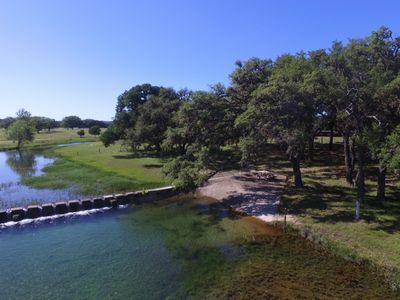 Enjoy catch-and-release fishing or swimming in the creek (short walk or drive to water). Sit in the porch swing or rockers and watch Native and Axis Deer, Blackbuck Antelope, turkeys and countless bird species. HD Satellite TV, Blu-Ray DVD, HDTV, telephone, AT&T cell coverage and high speed wireless DSL internet. Valle Escondido is a certified organic working cattle ranch.